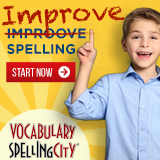 It’s become more specific than that now, and it’s commonly known as a “homeschooling style” or an approach to homeschooling that generally means learning without prescribed lessons, textbooks, or the school-like methods many other homeschoolers use. Sometimes unschooling is called delight-directed learning, child-led learning, autodidactic, natural learning, life learning, autonomous learning, non-coercive learning, or interest-led learning, but people disagree on the words. For example, some people see a difference between, say, interest-led learning and unschooling, while other people see them as the same. Some people don’t see unschooling as autonomous or “child-led” since it works best with a highly engaged parent, who provides valuable guidance, experience, and resources useful to unschoolers. Yet, compared to learning that is prescripted by a school curriculum and taught by a teacher, unschooling certainly is more child-centered. Some people see unschooling as simply thinking outside the textbook. The terms do matter. If your interest in unschooling is more than casual, you’ll learn from discussions about the definitions of unschooling. You may be surprised that something with an “un” as its prefix also has the potential for dogma and disagreement. The similarity in the words can make people think they mean the same thing, when in fact, unschooling and deschooling are two different things. 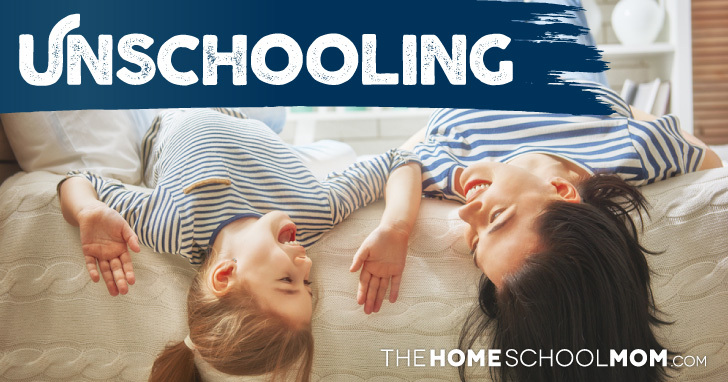 Deschooling is recognized as a transition from school, and homeschoolers of all stripes recognize that honoring time “to deschool” is important. We don’t need to follow school rules at home, and even parents need to come to grips with the idea that homeschooling is not school. Unschooling, on the other hand, can be seen as one of many styles or approaches to homeschooling, as you can read in our Beginners’ Guide to Unschooling. Sometimes, as a result of deschooling, families land on unschooling as their approach to homeschooling. (That said, many will argue unschooling is a lifestyle rather than a homeschooling style.) This typically means that children will learn naturally, according to their own curiosity, with active parent partners to facilitate their learning. The parents won’t prescribe textbooks, curriculum, quizzes, worksheets or tests, but they will support real-world learning that naturally occurs outside of school: projects, reading, writing, creating, experimenting, observing, and more. Parents don’t coerce or require academics if they are unschoolers, but they do provide rich experiences such as library visits, read-alouds, things to build with, opportunities to pretend, resources other than curriculum, and more. Unschoolers don’t coerce or trick their kids into doing schoolwork. Radical unschoolers extend this non-coercion into other areas of family life. As you can imagine, this concept is also ripe for misunderstanding. Commonly misrepresented as “complete freedom” for kids, radical unschooling is more nuanced than that. Radical unschoolers who do well with it (and it is possible to radically unschool poorly), guide and partner with their children to help them understand both their relative freedoms and their responsibilities or societal limitations and expectations. Yet, radical unschoolers are good at sniffing out arbitrary limits. “Clean your plate” is probably not something you’ll hear a radical unschooler say. “Because I said so” is not a radical unschooling parent’s phrase. Many radical unschoolers point out the value of letting kids have more say in figuring out how much time they’ll spend playing video games, and they don’t use behavior modification like rewards and punishments to control bedtimes and chores. Can learning without textbooks, classes, tests, trained teachers, and even curriculum or lesson plans possibly be legal? Yes, absolutely! Unschooling is legal. Homeschoolers of all stripes do away with many of the conventions of school. Unschoolers just take it further. In some states and countries, home education laws include specific requirements that unschoolers (like all homeschoolers) have to meet. 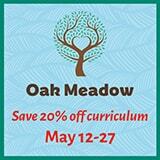 These may include year-end testing, evaluation, or portfolios with specific examples of work. While these laws create hoops for unschoolers to jump, unschoolers in every state in the United States are able to comply with the laws. If you’re wondering how to do this, look for unschoolers where you live. Those who have been there can give you the information you need. Remember, unschooled kids are still learning. Unschooled does not equal uneducated. They aren’t learning using the conventions of school, but they are still learning. Parents may have to recognize and present every-day activities as meeting “learning standards” in a few states, but it’s legitimate. A child who is reading a favorite book that’s not in a curriculum is still reading. A child who has written up a menu for a pretend restaurant is still writing. A teen who has built her own computer is still doing tech. A little child who recognizes mushrooms, pine cones, and a hawk on a nature walk is still being introduced to the life sciences. Unschooling is effective partly because the approach allows parents to respect the developmental readiness of the child. There is no pressure for children to do things on an artificial timetable that sorts children and specific skills into grade levels. Science and psychology both tell us that children develop within wide ranges of “normal,” and unschooling allows parents to take that into consideration. Children don’t have to be pressured, shamed, or remediated when they are later readers or writers. Like other homeschoolers, unschoolers can and do graduate from college, start businesses, get jobs, live creative lives, and become independent adults. Some unschoolers take nontraditional learning paths right through their teen years and into adulthood; others begin taking community college classes as teens, or they work with mentors. UnschoolingMom2Mom has a great collection of resources about grown unschoolers and what they’re doing. Unschooled teens have different backgrounds, different abilities and interests, and different aspirations—just like teens who go to school. Everyone has a different journey in mind, and mileage may vary! There is a lot of variety in how unschoolers turn out. Unschooling is not un-everything. Unschooling that works well includes a parent who has time and commitment to provide resources and experiences to help a child follow interests. Unschooling parents spend a lot of time with their children. They’re not teaching didactic, pre-planned lessons, but they are enjoying the wonder of the world with their kids, reading aloud, helping a child engage, providing loving guidance. Unschooling parents typically don’t overplay “learning moments,” and they aren’t concerned with disguising learning as fun in order to make it more palatable. They trust their children will learn what they need to know through lived experiences, their interests, and when or if the time and goal are right—self-motivated study. Unschoolers may not use typical praise phrases and do not tend to use rewards-based learning, since research shows that external rewards can make people less motivated to learn independently. Unschooling parents also help their kids with the tools they need to move forward, such as having transcripts and outside evidence that they can do college level work if they want to go to college. It’s true that there are some “school things” that homeschoolers and unschoolers don’t have to do. That said, just not doing school things doesn’t mean a parent is being a responsible unschooling parent. Sure, unschoolers may enjoy not having a schedule, and that can be part of unschooling. Unschoolers certainly don’t have to use “school hours” any more than other homeschoolers do, but avoiding schedules is not necessary to unschooling. Families whose kids enjoy dance or art lessons or soccer or visiting with friends or even regular afternoon tea may have a busy schedule that includes keeping a calendar to keep it all straight. Unschooling parents aren’t hands-off; unschooling parents are highly engaged. Unschooling is the most misunderstood of all approaches to homeschooling, by people who don’t homeschool at all, by people who homeschool but don’t unschool, and by people who call themselves unschoolers but don’t quite. One of the problems is stereotypes about unschooling, even within homeschooling communities. If people (even other homeschoolers) meet one unschooling family where parents aren’t adequately partnering with their kids, they may presume this is the way of all unschoolers. It’s especially unfortunate for homeschoolers to let this bias go unchallenged in themselves, since they are frequently stereotyped by the general public as well. When the media depict unschooling, they sometimes do sensationalist stories. Sometimes they feature families who identify as unschoolers but who actually don’t represent unschooling accurately. They may be “anything goes” parents who let their kids run amok. Unschooling parents who are helping their children learn and who have peaceful, non-chaotic lives may be skipped over for interviews because they don’t fit some stereotype a reporter has. Media stories also tend to follow a formula of always consulting an “education expert” to “balance” a positive depiction of unschooling. These experts are often experts on school-based education, and they may not have first-hand experience with unschooling families. Frequently they “know” what they know based on institutional practices rather than family-based education. Reporters may unknowingly trap themselves in false-equivalency journalism when they attempt to cover unschooling. This adds to the misunderstandings of unschooling. The Class Dismissed movie paints a more realistic picture of how and why people arrive at unschooling, or over at UnschoolingMom2Mom, you can track down stories of typical unschooling days. From Sandra Dodd’s unschooling site, here is a sample submission for an unschooler that was required to submit a curriculum (written and generously offered as a model for other homeschoolers by Carol Narigon). Sandra Dodd is one of the strongest voices in favor of unschooling. Her writings and talks have instpired many parents to consider unschooling as a natural choice. Her website is full of thought-provoking resources. You may have heard of interest-led learning or unschooling and be curious about what it looks like in practice. Yarns from the Heart is a blog by an unschooler whose son is on a full ride scholarship to the University of Chicago (interestingly enough, doing a work-study in a 4th grade classroom). Get a peak into the daily life of an unschooler and find out what life without curriculum is like. How can you encourage a passion in your children without making it into a school subject? How Ann Zeise went from school to school at home to unschool with her son. From amazon.com Packed with genuine, real-world answers to hard questions, this new books answers these and many more questions in a chatty Q&A format with answers from multiple veteran unschoolers.